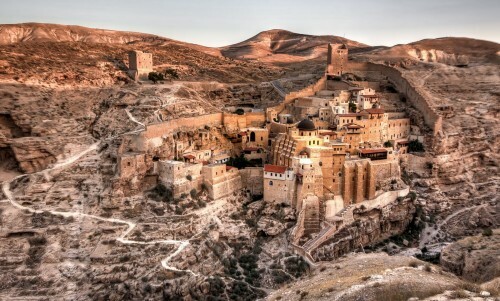 The sun rises over Mar Saba monastery, which seems to spill from the earth in Israel’s Judaean Desert. “Considered to be one of the oldest inhabited monasteries in the world,” Your Shot photographer Maria Yudin explains—and it is, at well over a thousand years old—“[it] still maintains many of its ancient traditions. One in particular is the restriction on women entering the main compound.” Women can look over the complex from a separate tower constructed expressly for their use.